This week we will be exploring the origins of Election Day, political parties, the voting process, and conducting our own mock election. The video below explains why we vote on Tuesdays (a question I have often wondered myself as it seems like an odd choice for an election day!). 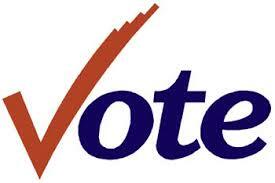 We will be working through the election process this week and voting for a mock candidate for class president. Students will listen to campaign speeches from our two mock candidates, vote at the polls, and justify their choices. They will also be making their own voter registration cards. *Parents- if you go out to vote on Tuesday after school, take your kids with you and share the process! During the second (and one of the only full weeks of school) of November, we will be researching the origins of Veteran’s Day. Students will take a virtual field trip to see the many memorials dedicated to our fallen soldiers in our nation’s capital (see the video I created below). They will then work in teams to design a memorial to honor our local veterans. During the final full week and our last short week of November, we will be walking in the footsteps of the Pilgrims and learning about the first Thanksgiving. We will be researching, comparing and contrasting the Thanksgiving feast we enjoy today with the one that those first settlers enjoyed. Students will work in pairs to create a menu for today’s feast and a menu from the first Thanksgiving feast using various websites like the one below. We will make a staple of the pilgrims diet- hardtack (yum) to enjoy in class together. This month I am thankful that I get to share these meaningful, cross-curricular lessons with my class! I will be combining first and second hand accounts as well as multimedia to enhance my student’s learning experiences. We will be creating, writing, debating, and collaboratively working to produce meaningful and memorable products. Stay tuned to see the fruits of our labor in upcoming posts! Apps We Love Using in Class! Hello Middle Twp. Elementary Grade 5! Share us with your friends and followers!